A?newly published study?in the?Journals of Gerontology?has found that a six-month supplementation with Neurophenol?, ?a polyphenol-rich extract of blueberry and grape, improved episodic memory in healthy older adults. The potentially groundbreaking results from researchers at the Institute of Nutrition and Functional Foods (INAF) in?Canada?and the University of?Bordeaux?in?France?demonstrated an improvement of eight years of cognitive age in study subjects, a significant discovery in an era when an estimated 16 million people in?the United States?are living with, and suffering from, cognitive decline. Neurophenol? is a clinically researched blend of standardized wild blueberry and grape extracts that provides a proprietary profile of polyphenols with neuroprotective properties. Researchers conducted a double-blind, randomized, placebo-controlled clinical study of 215 healthy subjects between 60 and 70 years of age to investigate the role of polyphenols in preventing age-related cognitive decline (ARCD). The present study clearly demonstrated that supplementation with Neurophenol? (600 mg/d) for six months improved episodic memory, or the ability to recall previous events and specific details such as people, times and places, in healthy elderly subjects, specifically in those with the highest memory decline at baseline. Researchers found that the polyphenol intervention was able to reverse these memory alterations in healthy elderly individuals with a lower level of memory performance, giving hope to those who are already experiencing some neurocognitive and memory issues. In an effort to combat cognitive decline, Atrium Innovations joined a consortium of French and Canadian researchers and commercial partners to create the Neurophenols Project, an international research initiative dedicated to developing and marketing innovative natural products to support neurocognitive health. First-to-market products containing Neurophenol? are now available from Atrium Innovations brands Pure Encapsulations?, Douglas Laboratories? and Garden of Life?. This study is part of a multiyear research collaboration between INAF and Atrium Innovations exploring the impact of lifestyle and nutritional interventions on health. In addition to Neurophenol?, the collaboration has yielded other important discoveries on the clinical applications of polyphenols, fish oil and systemic enzymes and their role in improving cardiometabolic health outcomes. The study evaluated the results of 215 healthy male and female subjects between 60 and 70 years of age with a body mass index (BMI) between 20 and 30. The study used a bicentric, double-blind, randomized, placebo-controlled model. The study was divided into three visits at investigational sites and two follow-up calls. Subjects were seen for a pre-inclusion visit, followed in two to four weeks by a baseline visit, and an end-of-study visit 24 weeks after the first visit. Follow-up calls were made eight and 16 weeks after the first visit. All participants’ Mini Mental State Examination (MMSE) scores were 26?< MMSE score???29. To minimize the confounding effects of a variety of diet, health and lifestyle factors, all participants had to meet criteria and be capable and willing to comply with protocol in order to be eligible for the study. Subjects were randomized and assigned to receive either the active treatment, a polyphenol-rich extract from grape (Vitis vinifera L.) and wild blueberry (Vaccinium angustifolium Aiton) (PEGB), or the placebo. Subjects consumed two 300mg capsules of Neurophenol? ?orally each day for 24 weeks. The study was not designed to look at a rate of change in cognition over time. The results provide evidence that supplementation with specific polyphenols from grape and blueberry improves verbal episodic memory in healthy elderly people. Moreover, it was demonstrated that a nutritional intervention with polyphenols is able to reverse the episodic memory alterations in healthy elderly people with a lower level of memory performance. For more information, view the full study?here. Atrium Innovations joined INAF, Diana Food and other French and Canadian researchers and commercial partners to create the Neurophenols Project (neurophenols.org), an international research initiative dedicated to developing and marketing innovative natural products to support neurocognitive health. First-to-market products containing Neurophenol? are now available from Atrium Innovations brands Pure Encapsulations?, Douglas Laboratories? and Garden of Life?. Atrium Innovations Inc. is a globally recognized leader in the development, manufacturing and commercialization of innovative, science-based, natural health products that are distributed in more than 50 countries. The company owns health care practitioner and specialized retail product brands that are at the forefront of science, innovation and education. Atrium has over 1,400 employees and operates seven manufacturing facilities, all of which comply with Current Good Manufacturing Practices. The family of Atrium Innovations brands includes Garden of Life?, Pure Encapsulations?, Wobenzym?, Douglas Laboratories?, Genestra Brands?, Orthica?, AOV?, Minami? Klean Athlete?, Pharmax and Trophic?. Atrium also distributes UNDA? and Wild Rose? brands. 1?Subjects receiving placebo improved by 5.5 years. 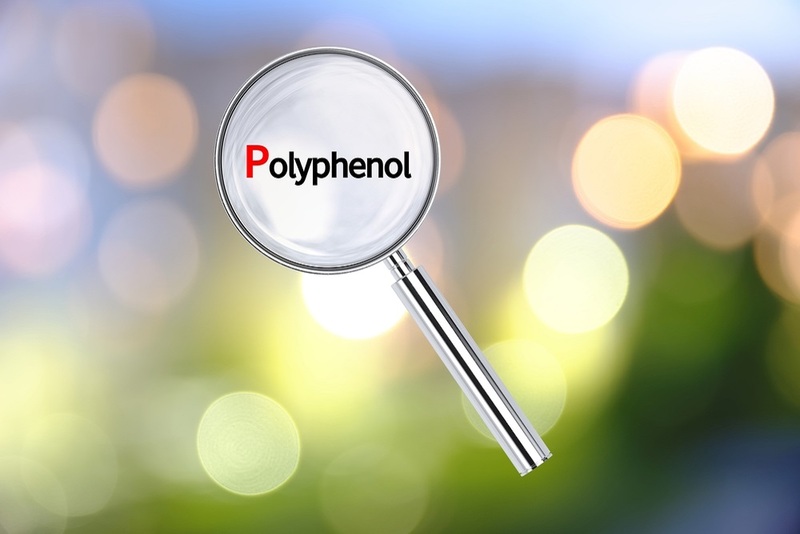 Do the above companies produce and sell a Neurophenol product ? Yes they do produce products that include this incredient.